Carolyn Gardner, a librarian at the U. of Southern California, says of tension between librarians and publishers: "We are probably both their biggest consumer of the materials they sell as well as their biggest critics." The rise, fall, and resurfacing of a popular piracy website for scholarly-journal articles, Sci-Hub, has highlighted tensions between academic librarians and scholarly publishers. Academics are increasingly turning to websites like Sci-Hub to view subscriber-only articles that they cannot obtain at their college or that they need more quickly than interlibrary loan can provide. That trend puts librarians in an awkward position. While many are proponents of open access and understand the challenges scholars face in gaining access to information, they are also bound by their contracts with publishers, which obligate them to crack down on pirates. And while few, if any, librarians openly endorse piracy, many believe that the scholarly-publishing system is broken. 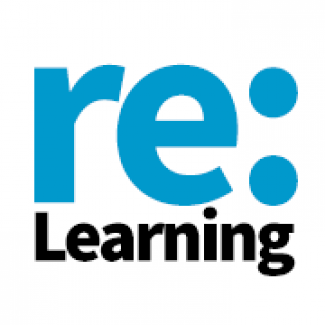 The Chronicle of Higher Education’s Re:Learning project provides stories and analysis about this change moment for learning. 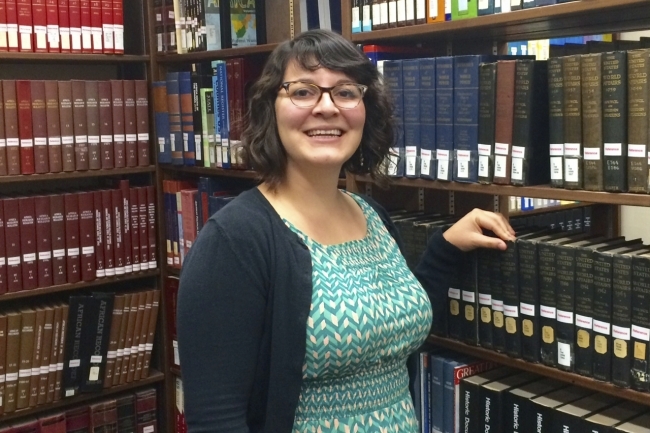 Carolyn C. Gardner is one librarian who says the system needs an overhaul. Ms. Gardner, an information-literacy and educational-technology librarian at the University of Southern California, said that, as an advocate of open access but a patron of the paywall model, she feels an internal tension. While librarians push publishers to rethink costly paywall methods, they also depend on the service of such journals. "We are probably both their biggest consumer of the materials they sell as well as their biggest critics," she says. Sci-Hub, which advocates for free access to academic scientific research, was developed in 2011 by Alexandra Elbakyan, a graduate student in Kazakhstan. Last year her website was successfully sued by the publishing giant Elsevier. A U.S. district court in New York ordered the site to shut down and cease pirating material. While sci-hub.org did shut down, sci-hub.io soon sprung up in its place. In a 2015 letter to the court, Ms. Elbakyan explained that, as a student abroad, she didn’t have access to many scholarly articles she needed for her research, and she discovered that neither did many others in developing countries. "Payment of 32 dollars is just insane when you need to skim or read tens or hundreds of these papers to do research. I obtained these papers by pirating them," she wrote, citing the per-article fee charged by many publishers. "Here anyone who needs research paper, but cannot pay for it, could place a request and other members who can obtain the paper will send it for free by email. I could obtain any paper by pirating it." She added that she had developed the website to process such requests automatically. As reported in The Atlantic, when users of the website type in an article they are seeking, the service uses a college or university’s login credentials to piggyback off its access to subscription-only journals. A PDF is then delivered to the user, and a copy is saved to Sci-Hub’s database to satisfy future requests. Of course, the service is based on the procuring of those credentials, which an academic library may have paid hundreds or thousands of dollars in subscription fees to obtain. But according to Ms. Elbakyan, it is the publishers who are acting unethically, not Sci-Hub, because they charge for work created free by academics. In a 2015 interview with Torrent Freak, an online publication about copyright and file sharing, she said, "We have to win over Elsevier and other publishers and show that what these commercial companies are doing is fundamentally wrong." Ms. Gardner recently set out to research what motivates scholars to use pirate sites to obtain journal articles. In a survey whose results will be published this month in an open-access journal, Ms. Gardner and her husband, Gabriel J. Gardner, asked about 200 scholars who used alternative methods to view journal articles why they had done so. While a majority said they had used interlibrary loan, even more said they had turned to a section of the anonymous website Reddit, r/scholar, to ask other Internet users to send them the files they sought. About half of the survey participants said they had used a piracy website such as Sci-Hub or LibGen, and about 20 percent said they had made requests on Twitter using the hashtag #icanhazPDF. Many scholars said they saw those methods as equivalent to a colleague’s dropping off a PDF on their desk. "They said they wouldn’t have access any other way. ‘I just need access. I don’t really care how,’" she says. "Also many cited that their interlibrary-loan programs were slow." She says some academics also argued that they perform free peer reviews, so they should be able to read articles free too. And others said it wasn’t possible for their library to have every journal they might need for research. An Elsevier representative, Thomas Reller, vice president for global corporate relations, refused to answer questions for this article, saying only that "Elsevier is simply the named plaintiff in the lawsuit that is filed on behalf of the industry." He urged The Chronicle to speak with officials at the Association of American Publishers. John S. Tagler, vice president of the association and executive director of its Professional and Scholarly Publishing division, argues that Sci-Hub’s piracy has undermined the infrastructure of scholarly publishing. "If you take away the revenue stream that sustains these journals, it is a threat," he says. In the last three to five years, Mr. Tagler says, piracy concerns have escalated for publishers, and Sci-Hub is not the only offender. He says there is room for negotiation between publishers and people who want to view information legally, but for those who do not, there’s not much to talk about. Instead of pirating articles, he says, researchers should obtain preprints, which don’t show final adjustments of articles. Researchers should also use interlibrary loan or participate in consortia in which colleges and universities cooperate to share subscriptions. Through trial and error, he says, many journals are evolving toward hybrid- or open-access models, but the industry can’t flip a switch and change overnight. "We can’t make everything available for everybody from wherever they want it whenever they want it for free," he says. "It’s not sustainable." "Then you start seeing your downloads going to unusual locations or downloads that are occurring in huge quantities — thousands of downloads," Mr. Sanchez says. Typically, the publisher notices such irregularities first, notifies the college, and tells it to shut down the problem quickly. At Marquette, additional layers of security were added, the IP addresses of the compromised accounts were given to the publisher, and the faculty member changed the user name and password within 24 hours. But, Mr. Sanchez says, "it puts us in a tough situation." Libraries are contractually obligated to shut down the hackers, he says, "and if we don’t do it, the publishers can literally disconnect their product." That could cut off key research material for professors and students. Mr. Sanchez is working on a paper, to be published in March, about what libraries can do in this situation. He argues that scholarly publishing should move toward open access that can be harnessed "in a way that is equitable." For example, he notes that colleges could use two-factor authentication to better verify that their employees and students are the only individuals using their journal subscriptions. Researchers have also developed scripts that could detect compromised accounts. Despite pressure from publishers, Thomas H. Teper, associate university librarian for collections and technical services at the University of Illinois at Urbana-Champaign, is not sure that most libraries have the resources to monitor daily usage patterns. "In fact, that is contrary to the nature of what we do," he says. "Regardless of what a publisher may expect, I don’t think any library would feel that is an appropriate activity for them to do." While librarians may like to view themselves as facilitators between academics and publishers, Ms. Gardner says the problems in the scholarly-publishing system are too big to take on by themselves. She believes it is up to professors to speak up, and to publishers to explore more open-access options. "The per-article model," she says, "hasn’t come into line with market norms the way we have seen with music songs being 99 cents." Join the conversation about this article on the Re:Learning Facebook page.